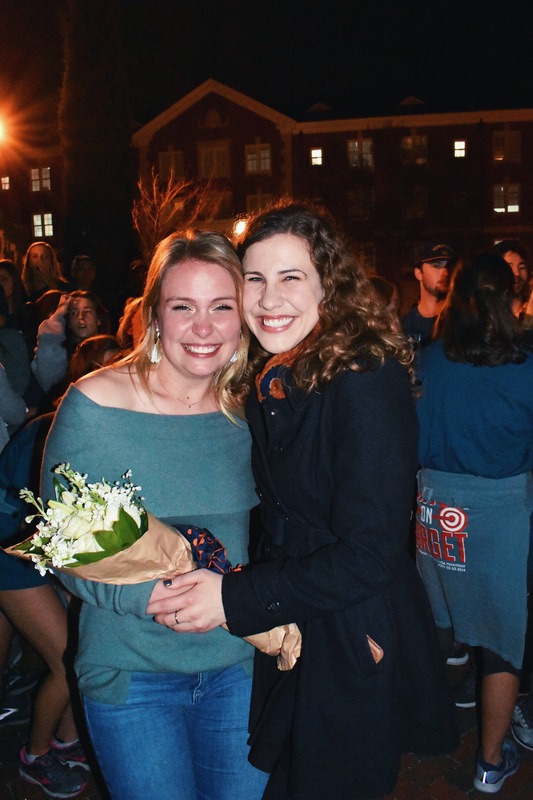 The title of Miss Auburn is awarded to an Auburn woman who embodies the spirit of Auburn University and exemplifies the standards an Auburn woman holds herself to both in word and deed. She is a female ambassador, representing the university internally to the student body and also externally to the outside community, alumni and prospective students. Two women studying in the College of Sciences and Mathematics are the two most recent students to have been awarded the title. Two COSAM students hold the Miss Auburn title consecutively, Laura Davenport (left) and Kathryn Kennedy (right). On February 5, Biomedical Sciences junior Laura Davenport was named the 2019-2020 Miss Auburn. Passing the title on to her was Kathryn Kennedy, Miss Auburn 2018-2019, and a senior studying Biomedical Sciences. 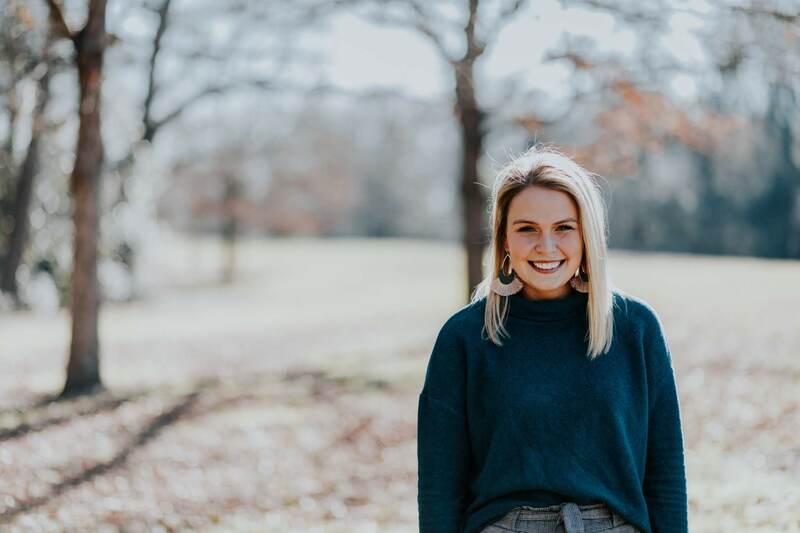 Nominated by her sorority Alpha Delta Pi, Laura said she has always been involved on campus, but didn’t necessarily have the goal to become Miss Auburn – until she was nominated. 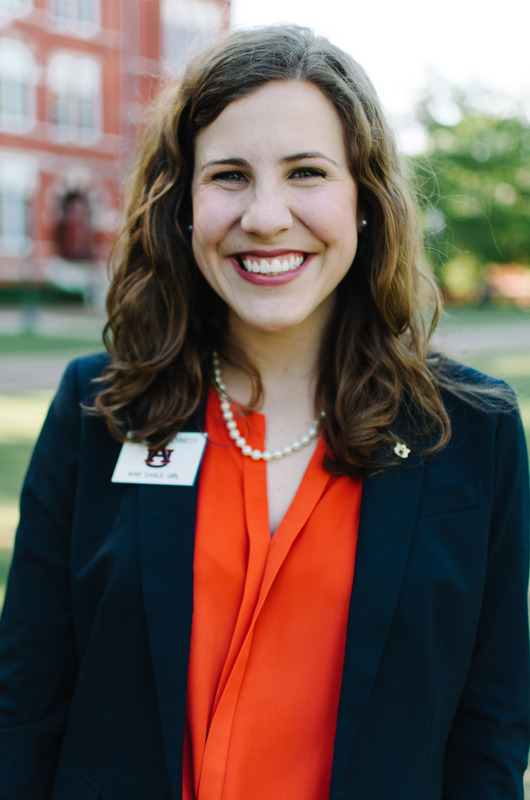 Miss Auburn also serves alongside the Student Government Association and the War Eagle Girls and Plainsmen as a university hostess, and works closely with the university president. Originally from Oxford, Alabama, Laura said she grew up knowing she wanted to go into the medical field. Her current plans are to pursue a career as a physician’s assistant or a dentist. Laura also serves on her sorority’s executive board, conducts research in the Drug Discovery and Development Department of the HSOP Metabolic Therapeutics Lab, is a Lambda Sigma Junior Advisor, and a Campus Kitchen Volunteer. She said she has learned a lot about the community through the Campus Kitchen program. With a busy year ahead, Laura said she knows balancing Miss Auburn duties along with her COSAM studies will be a challenge, but one she is ready for. Kathryn Kennedy knows this challenge well. Kathryn is a senior studying Biomedical Sciences through COSAM and after graduation will attend school at the University of Alabama at Birmingham to become a physician’s assistant. Laura said she believes Kathryn served the university beautifully and she knows she has big shoes to fill. Kathryn said the experience of being Miss Auburn made the last year her favorite at Auburn. She said a highlight of the year was campaign week before she was elected. Nominated by SGA, Kathryn said she met so many new people and felt so supported during that time. Throughout the last year, Kathryn said she also enjoyed the many events she attended as Miss Auburn and working closely with the Office of the President and getting to know Dr. Leath and his wife. Kathryn said she is happy to pass the title on to someone like Laura, who she has gotten to know throughout the recent election process. Kathryn said advice she would offer to Laura includes making the most out of every event and every moment.